Spring is in full swing and there has never been a better time to give your website a good ol’ fashioned spring cleaning. So we put together 5 easy-to-implement tips to help get your website in tip-top shape for the summer and tighten the belt on your SEO strategy. How often do you check your Google Analytics data? If you’re like most people, probably not as often as you should or would like to. So before you make any changes to your website, take a look at Google Analytics first. By assessing your website’s current situation, you’ll have a better understanding about how to move forward strategically without negatively impacting the things that are already working well. How many people are visiting your site and how long do they stay? How many pages do they typically visit and what is your most popular content? What’s your primary source of traffic (search, social, direct, referral)? What keywords are currently driving traffic to your site? By answering these questions you’ll have a better understanding of what pages need attention and what your SEO strengths and weaknesses are currently. Keyword search volume and competition is constantly changing – stay on top of your keywords with the Google Keyword Tool. Keywords that drive traffic to your site one year may not be as useful the next. Especially with the Sage rebranding, it’s a good idea to check what product names potential customers are typing into Google when conducting a search. Are customers and prospects still using “MAS” “Accpac” and “Master Builder” when searching for information about Sage ERP or construction software products? Are customers using a location to find a support or training provider nearby? 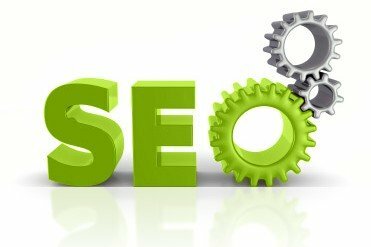 When you know what people are searching for, you can tailor your SEO strategy accordingly. Install social media sharing buttons on your website and make it easy for visitors to share your web pages, blog posts, and other content across the internet. Not only will it help drive even more traffic to your website, social signals (Likes, retweets, +1’s, etc) and social sharing are now part of Google’s algorithm and can help you achieve better search engine ranking. And don’t forget the Google +1 Button … the +1 button is directly tied to Google, which makes it one of the most important social share buttons you can have on your pages and posts. A simple +1 can potentially help you rank higher for keywords than any number of social shares elsewhere. Domain names change, websites are moved, and pages are taken down. So it’s no wonder that over time, links break and pages produce Errors. Google frowns upon broken links and penalizes sites that have too many. Log into your Google Webmaster Tools account and check your website for broken links and page errors (also called “404 errors”). Check for broken links both within your own site and for links out to external sites. If you haven’t set up a Google Webmaster Tools account, you can try using http://www.brokenlinkcheck.com online. Once you’ve identified any errors, direct the broken links to the current or replacement page by using 301 redirects. Websites and pages that are slow to load not only affect the user experience, they also affect your overall SEO. A couple of years ago, Google announced that site speed had become an SEO ranking factor. By reducing page load times you’ll reduce bounce rates, improve the user experience, and prevent any potential negative impact on SEO. Head over to Google’s PageSpeed Insights Tool to see how your website is performing and to diagnose things that are potentially slowing it down. Are your images too large? Maybe it’s your hosting service? The Google PageSpeed Tool will let you know. If your head is spinning and none of this SEO gibberish is making sense, perhaps it’s time to contact Juice Marketing. We’ll show you exactly what your website needs and how to improve SEO with a GoogleJuice Website Audit. We’ll comb through your site and deliver a report that outlines which SEO tactics will have the most impact in the shortest amount of time.